Letters written by Charles H. French to his parents, sisters, and maternal grandparents in rural Shawnee County, Kansas, near Silver Lake. The letters discuss French's experiences serving in the army during World War I. French was sent to Fort Sill, Oklahoma, for training. Eventually he passed through New York to the United Kingdom and ultimately France. Included in the letters are comments on Fort Sill training, waiting to be sent overseas, taking a locomotive to New York & a steamship across the Atlantic, his European arrival, the nature of Allied operations, the Armistice, working as a military truck driver, and French weather. 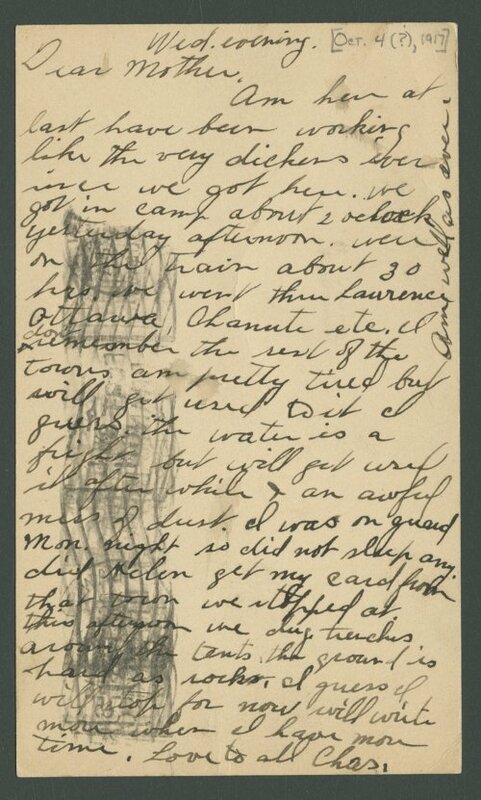 Collections - Manuscript - French, Charles H.